Finally the sun came out so I could take pictures for new patterns! 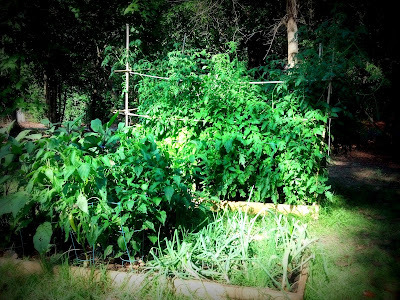 Our garden is huge and all the ichiban eggplants are growing at amazing rates. We have been eating fresh eggplant, peppers, and tomatoes almost every night lately. Eating Japanese eggplant made me think of another popular Japanese vegetable, the daikon. 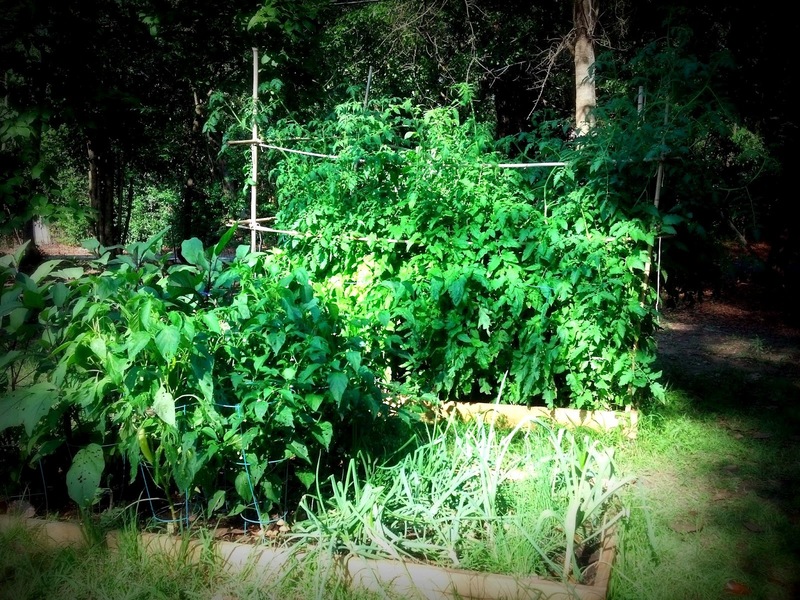 Part of our beautiful garden. To make (cut) leafy top cut 8 pieces of yarn about 5 inches long each out of medium green. Taking two pieces each thread them through the top of the daikon. When you are done you will have a full top.